NFC specialist Vivotech has closed a US$24 million Series C round of funding. New investors in the company include Singapore’s EDBI, SingTel Innov8 and Motorola Solutions Venture Capital. Existing investors Alloy Ventures, Citi Ventures, Draper Fischer Jurveston, DFJ Gotham, First Data Corporation, Miven Ventures, Motorola Mobility, Nokia Growth Partners and NCR all also participated in the funding round. 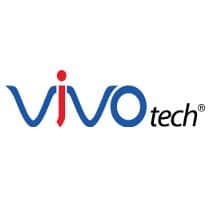 “The funds will be used to drive Vivotech’s rapid growth and accelerate expansion into more countries beyond the 35 where Vivotech NFC software and systems are used today,” says the company.